The very name suggests that you should expect more than just a fat burner when you buy T6 Fat Incineration pills. Whether it is anticipation or caution, expect something different. These very powerful pills are known to burn fat faster than any other pill in the market, release loads of energy into the system, suppress appetite and give way to rapid weight loss. While this is exactly what a dieter is looking for, one should not plunge into any diet program or take supplements without proper reconnaissance. While T6 manufacturers and fans have claimed that it has the power to change lives, there are too many customer reports of side effects to take their statements at face value. 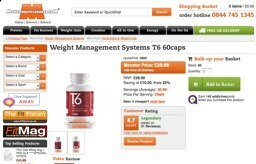 Manufactured by Weight Management Systems, T6 is distributed primarily through 3rd party supplement retailers and nutrition shops based in the UK. One major cause of concern is the lack of any official website and thereby lack of official verification of information. Most of what can be found on the product are descriptions provided by the retailers themselves. T6 Fat Incineration diet pills are extremely strong fat burners which also seek to give dieters an extra boost for their workouts. Makers of this diet pill claim that it is equally effective for the dieter as it is for the bodybuilder. However, due to its potency new users are advised caution and asked to take smaller doses till their body gets used to it and the side effects are lessened. When you buy them off the counter, retailers would usually advise you to take one capsule at breakfast to start with. For those who have been taking this or other diet pills over the years can take a second capsule at lunch. As you can see, compared to other diet pills the dosage is really low which points to how powerful the pill can be. T6 fat burners induce thermogenesis which speeds up the metabolic rate and leads to maximum fat burning. 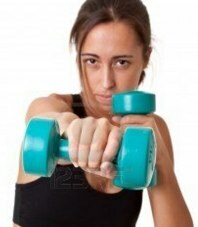 It also effectively reduces food cravings as well as water retention making one look leaner is a very short time. So far so good. Why then we need to worry about our T6 intake? It is the unnatural amounts of caffeine present in the product that we need to wary of. Caffeine works as a stimulant and gives the body energy. But too much of it can cause more harm than good and that is exactly most users of T6 have faced. Symptoms are extremely unhealthy and inhibiting for normal day to day living. If you feel these for more than a week stop taking the pill and consult a doctor. The Web is inundated with customer reviews which range from ecstatic dieters who love the stimulant effect to those who have felt nothing at all. Delve deeper and you will come across dieters who have suffered scary side effects which made them almost keel over in the gym due to the stimulant overdose. There are several premier fat burners available that can be considered superior to add to the shortlist. Capsiplex, Garcinia Cambogia and Raspberry ketone are the pick of the current top contenders. All are natural and not likely to cause side effects.